Studio Segers is a creative family business and was founded in 1989 by Rita Westhovens and Wim Segers. Segers designed his first collection of furniture for Younic a number of years ago. We had worked together with Studio Segers frequently in the past. We were successful in creating various product ranges including Cassecroute. In addition, we also worked together on a number of interior design projects. Studio Segers stands for a no-nonsense approach. No superficial design, only useful concepts without any unnecessary frills. 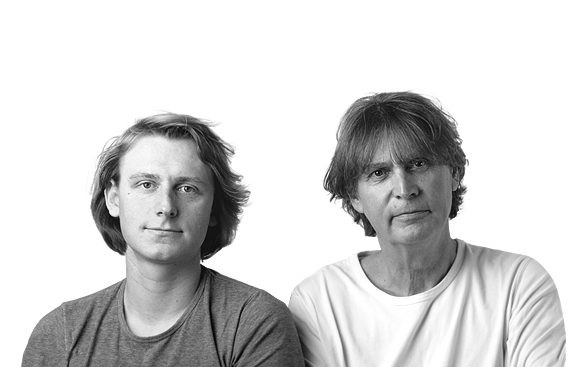 In 2009 the family’s son Bob joined the company as a product designer. As an interior designer Pascal Kenis loves high-quality materials that speak for themselves. Coherence, tranquillity and functionality are an important focus in his designs. In 2011 he set up his own design agency known as BURO31. Besides designing modern interiors, the idea also emerged to launch a new line of accessories ‘on and around the table’. And to do this in a combination of Corian® and wood and to complement the made-to-measure furniture under the Younic brand. Refined designs to suit both breakfast, lunch and parties. His work stands out for its minimalistic and timeless appearance.